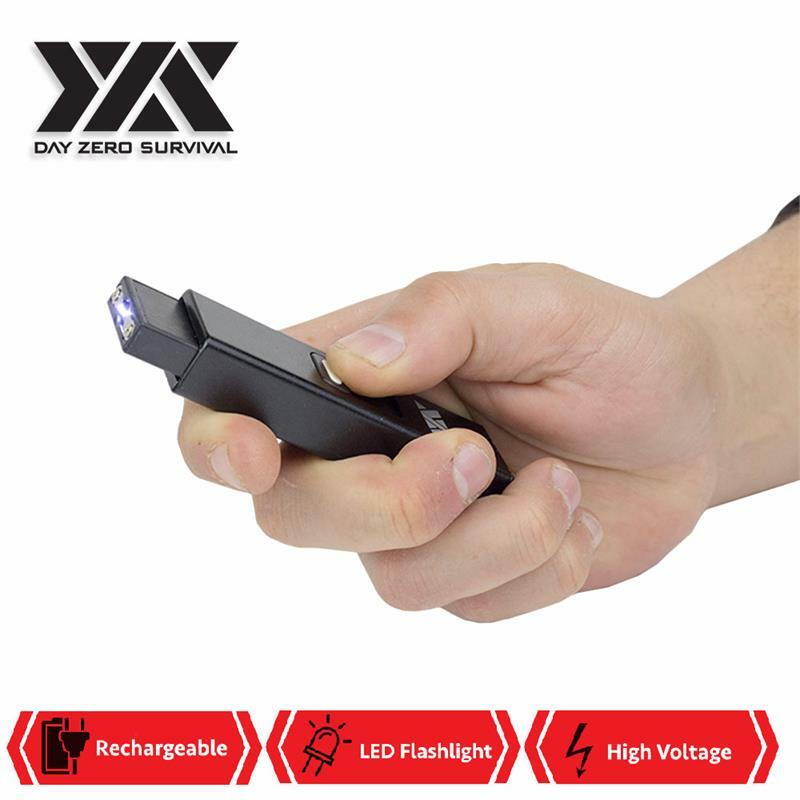 Day Zero Survival MICRO USB Rechargeable Stun Gun. It is small but strong. Enough to scare the attackers. 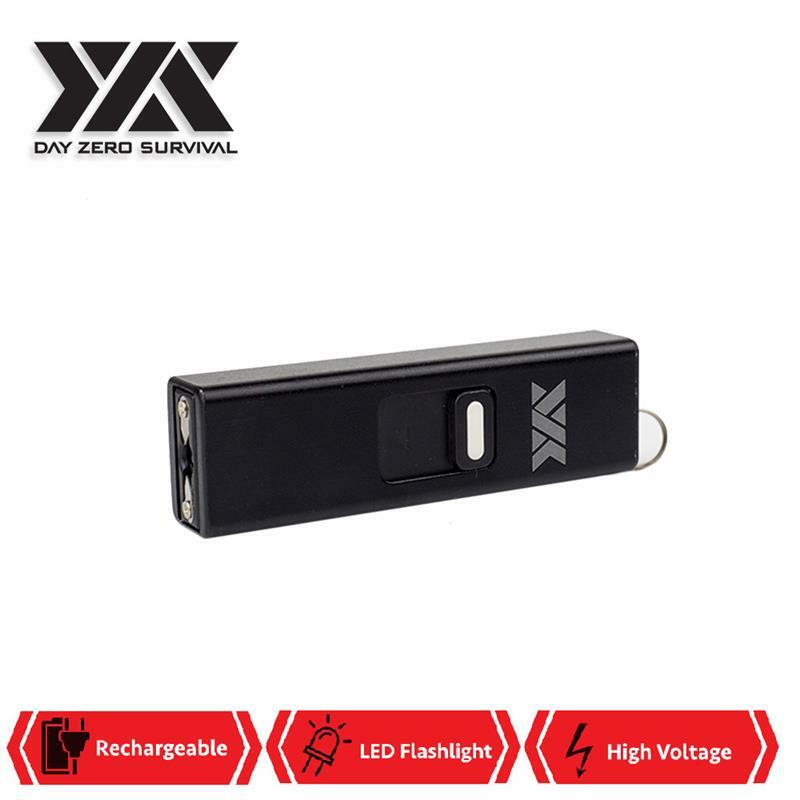 Built in LED Bright Flash Light, and Key Ring. Aluminum body, USB Rechargeable, USB wire included.